BELIZE CITY–Chief Justice Kenneth Benjamin has been hearing arguments in chambers in a case brought by several offshore banking companies and their executives, who were indicted by a U.S. federal grand jury and whose accounts and assets the Financial Intelligence Unit (FIU) had secured a court order to freeze. Chief Justice Benjamin ruled this afternoon to remove the freeze order because the FIU could not produce sufficient evidence to justify the continued freezing of the accounts. In September, the U.S. indicted six offshore companies operating in Belize along with six individuals connected to the companies. They were indicted on multiple charges of money laundering and securities fraud, for allegedly scamming the U.S. tax system out of $500 million dollars. 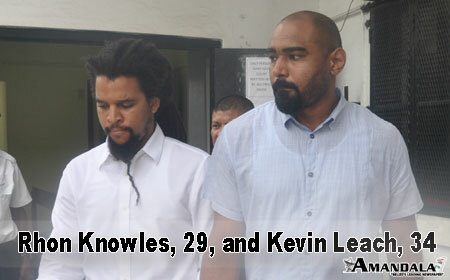 The individuals named in the indictment are Robert Bandfield, a U.S. citizen; Andrew Godfrey, a Belizean; Kelvin Leach, and Rohn Knowles, two Bahamian citizens; Brian De Wit and Cem Can, two Canadians. The six corporate defendants are IPC Management Services, LLC; IPC Corporate Services Inc.; IPC Corporate Services LLC (collectively, IPC Corp); Titan International Securities, Inc. (Titan); Legacy Global Markets S.A. (Legacy); and Unicorn International Securities LLC (Unicorn). “If you wanted to restrain our clients, you would have had to charge our clients, which they did do. Cost of court is therefore to be borne by the FIU, which will be considerable,” Smith said. “The short point I want to make on this is that [while] this was prompted by the government of the United States, the cost, of course, will be borne by the taxpayers of Belize, not the United States,” Smith went on to say. When asked, however, about the quantum of assets that were frozen, Smith declined to comment. Another attorney, Michael Young, who represented two of the claimants in the case, said that the freezing order which was issued on September 24, 2014, was issued against all properties of the respondents, including the particular monies in accounts which were identified in the application. So it was a sweeping order against the property of the respondents in Belize, he said. “It was an important decision handed down by the Chief Justice and it signals that you can’t just have allegations, which are from abroad, and then following upon that, you are going to seize properties of companies or persons doing business in Belize under Belizean laws. There are constitutional protections which are enjoyed by persons who live or do business in this country, and in fact, this case had to do with that,” said Young. Attorney Eamon Courtenay, S.C., told reporters that he thought it was an excellent judgment, because the Chief Justice set out in a very scholarly and professorial way the law as it applied to applications for freezing orders, when allegations of money laundering are being dealt with. “He [the CJ] came to the conclusion that ‘the FIU had failed woefully in meeting the standard that is required by law’”, he said. “One of the very important points made by the Chief Justice is the description of the very devastating allegations made against all of our clients without any substantiation, without any evidence to support it, merely responding to a request from the United States,” Courtenay remarked.